In January 19, Orthodox Christians are celebrating the Epiphany day and traditionally cut platforms in the rivers’ ice for consecration of water in which they get in to repeat what Jesus Christ did thousands of years ago to be baptized in the Jordan river. In St. Petersburg, more than twenty cross-shaped platforms are organized under supervision of emergency and first aid forces. The central platform of St. Petersburg that would normally draw the biggest number of faithful people is located on the Neva river, just near the St. Peter and Paul fortress. It will be operating from 11.00 till 00.00 on January 19 to serve anyone willing to swim in the holy water. The custom is getting more and more popular in the city with even non-religious people getting involved — just for fun or for nice photos for their social networks accounts. Though the custom is not directly connected with the Christian Orthodox church, it is strongly church-styled with all religious actions being undertaked and churches representatives involved. Interestingly, the Russian Orthodox Church representative called for faithful women not to post their photos in bikinis on social networks to avoid to get men being tempted. Any attempt of seducing is a sin, he said. All official platforms are guided by emergency and medical services to come to help in a pinch. 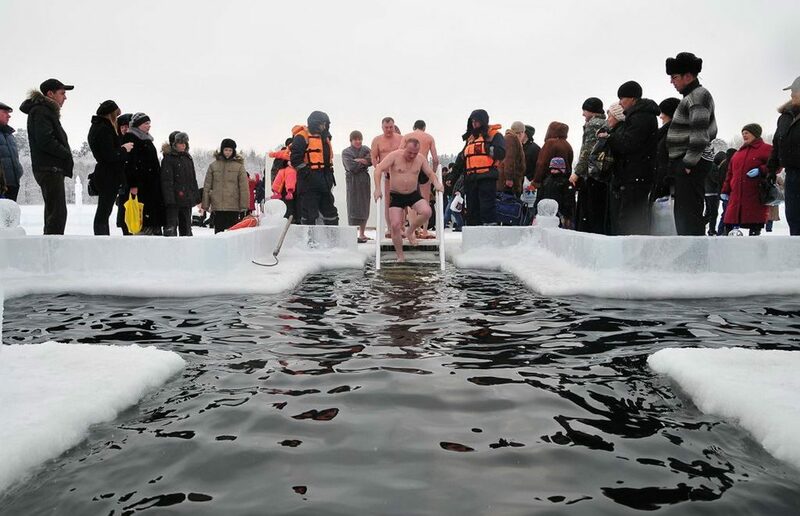 Over recent years, no serious injures or deaths during the Epiphany swimmings have been recorded.